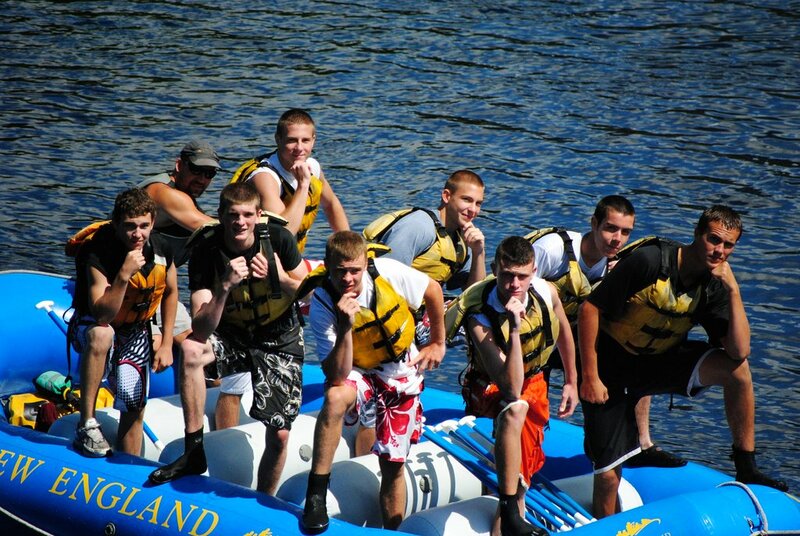 We put on at class IV Nesowadenahunk Falls and raft a little over six miles to a river access called Nevers Corner. We’ll explore riverwide waterfalls, surf, play on natural waterslides, and stop for a riverside picnic along the way-we might even see an eagle or two! 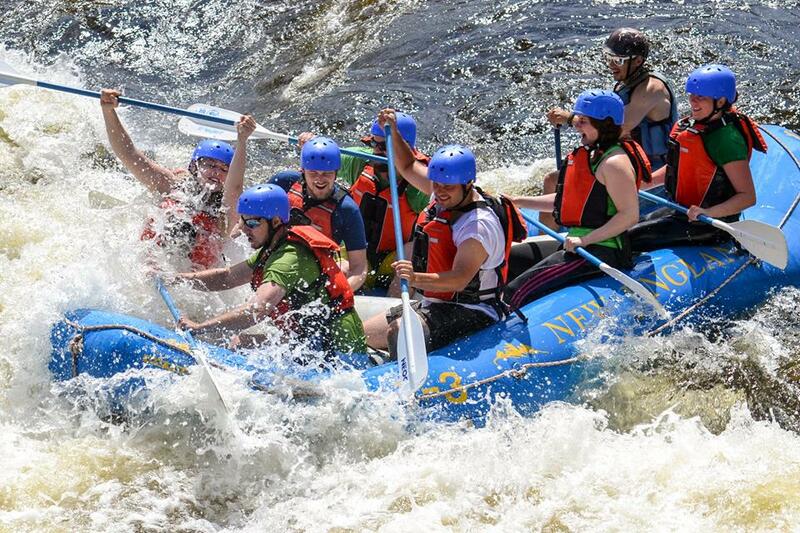 Because there are multiple routes through all of the rapids, our trips on the lower river have something for everyone from very mild to wild! 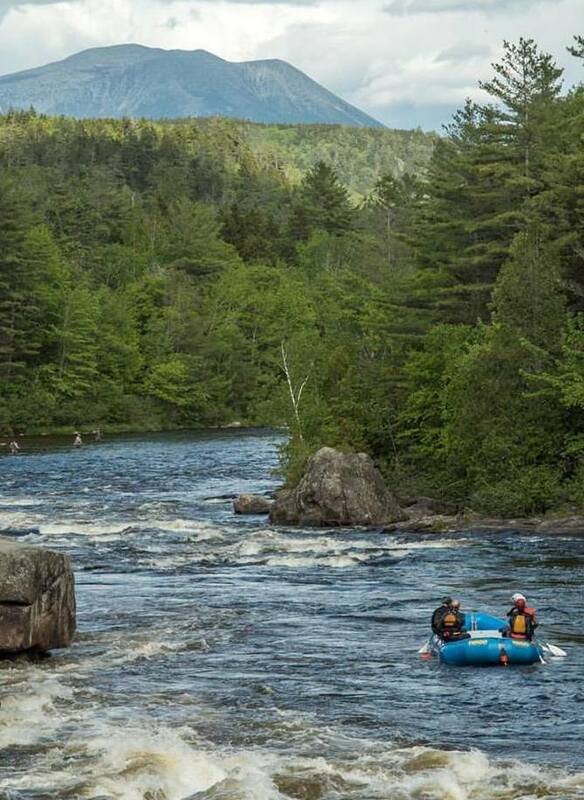 The upper river contains 10 major rapids and covers just over six miles. This section of river is sure to get the adrenaline flowing, blood pumping, and temperature rising! 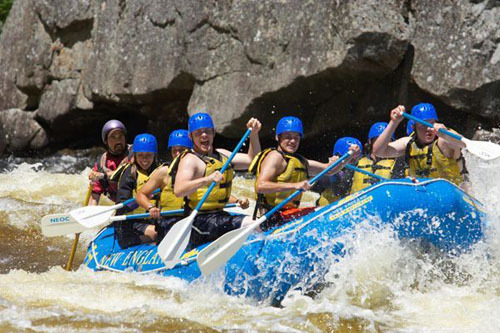 We begin at Mckay Hydroelectric station and make our way over some of the most technical class II-class V whitewater on the east coast before taking off the water downstream of Big Ambejackamockamus falls. Class II- Rapids with small waves, channels that are obvious without scouting. May require paddling and light navigation. Class III (+/-) - 2 to 4 foot waves, small holes, exposed rocks, requires some paddling maneuvers to navigate. 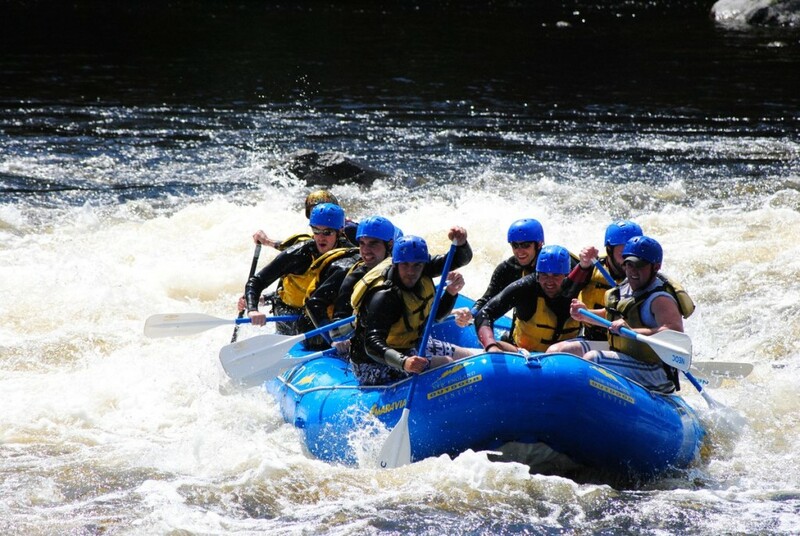 Class IV (+/-) -Longer rapids with 5 to 10 foot tall waves, large holes, specific routes, and require a moderate amount of paddling for navigating safely. Class V (V-V.V)- Highly technical with major waves and recirculating holes, and narrow slots that require significant paddling for navigating safely. Had an amazing experience! The guides were a perfect mix of professional and fun. 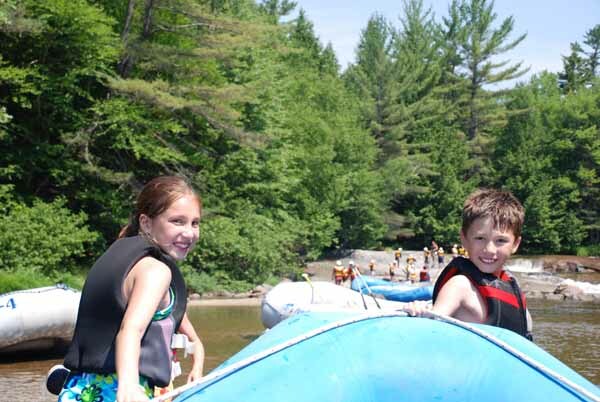 The campsites were comfortable and the facilities were full of extra activities to keep us occupied (pool, air hockey, instruments) when not on the river. Looking forward to returning soon! Incredibly awesome!! 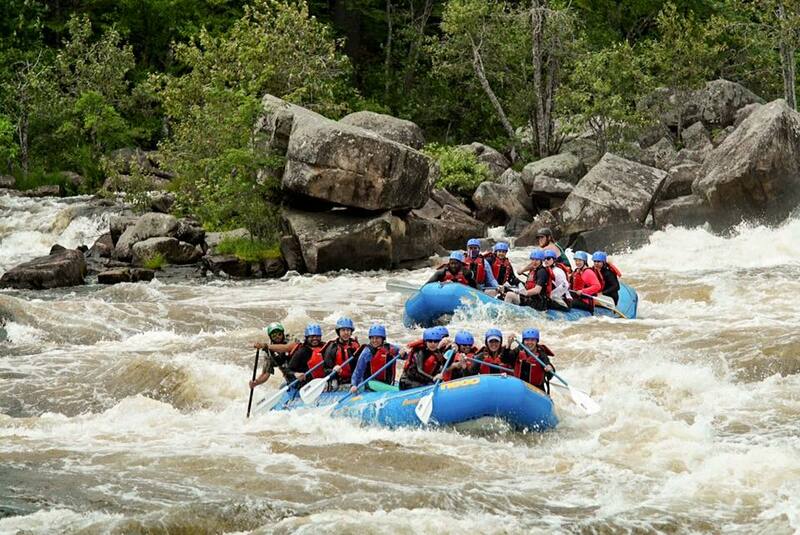 First time on cat 4 and 5 rapids and loved it!! My wife thought it was a great experience. Go Gavin!!! Absolutely loved it! Had Sam as our guide and was awesome! Can't wait to come back!